My favorite bagels in the world, Montreal-style bagels, were on my priority “to-do” – or rather, “to-eat” – list during our recent trip to Ontario and Quebec, Canada. 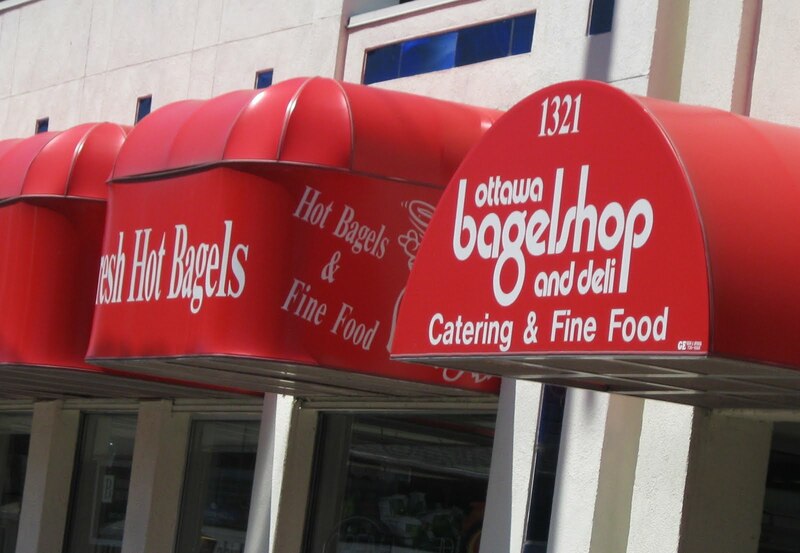 According to Wikipedia, Montreal bagels, like the New York bagel, were brought to North America by Jewish immigrants from Poland and other Eastern European countries. Differences in texture and taste reflect the style of the particular area in Poland in which the immigrant bakers learned their trade. 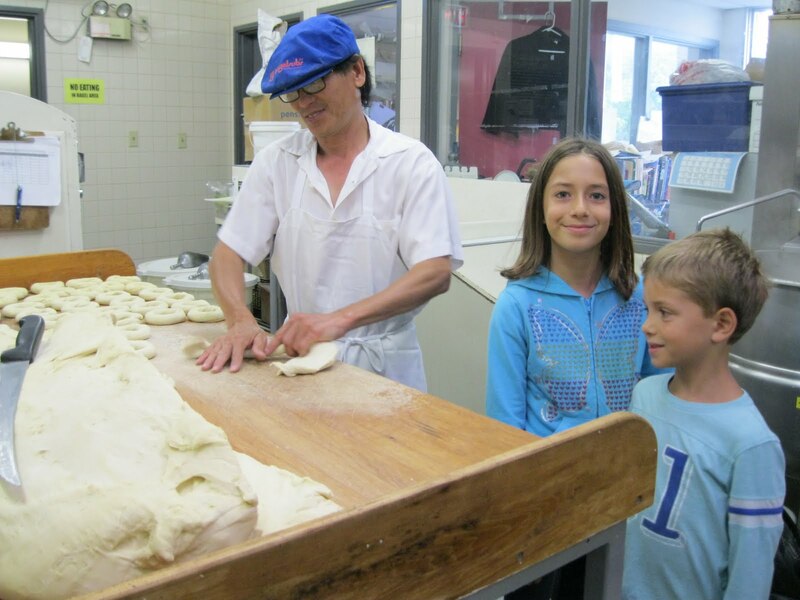 What makes Montreal-style bagels so delicious? 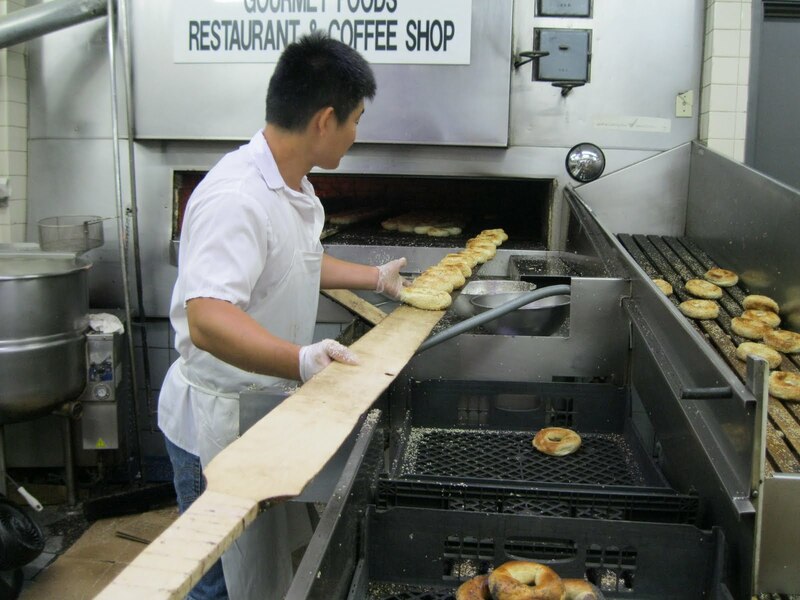 In contrast to larger, doughy New York-style bagels, Montreal-style bagels are denser, slightly sweet, and have a crunchy crust. They look a little different, with a darker or uneven color from the wood-burning stove and a larger hole. 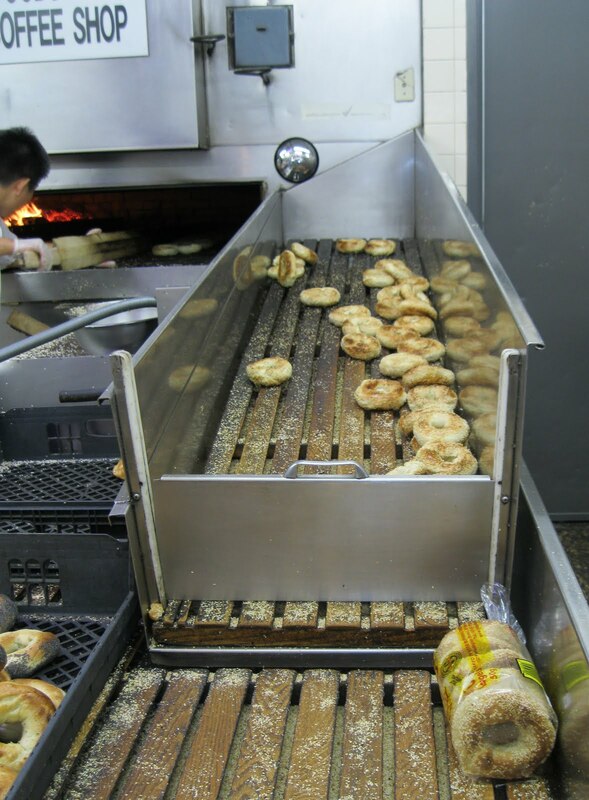 Montreal-style bagels are boiled in honey-sweetened water and they are hand-made, while many New-York styled bagels are machine-made. 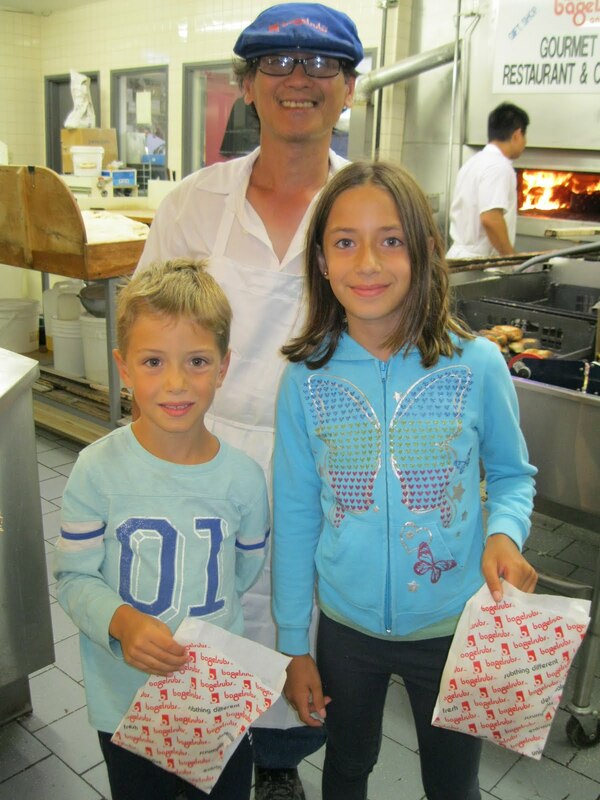 Thanks to my mother-in-law, my kids were treated to an up-close tour at the Ottawa Bagel Shop, where they were able to experience the shop’s famous baker cut and roll the egg and honey filled dough, and then boil and bake the bagels. Next the seeds and other toppings are placed on the bagels, before they cool and are packaged. 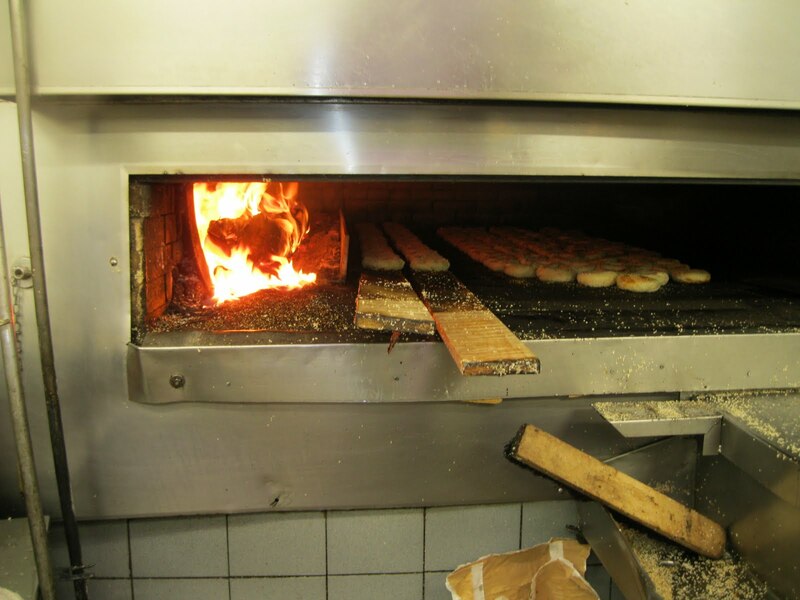 The bagels are made fresh every day. A complimentary bagel is a tasty way to end the tour! Sesame of course.